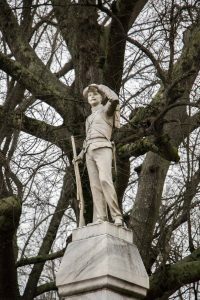 The Associated Student Body Senate resolution calling for the relocation of the Confederate monument from the Circle to the Confederate cemetery passed the ASB Rules Committee on Thursday night. The Senate will hold a final vote at its meeting Tuesday evening. ASB Sen. Katie Dames, one of the resolution’s authors, said the committee “checked all the boxes” to make sure the resolution used correct legal language and was thoroughly researched. Dames researched and wrote the resolution alongside Sen. Jarvis Benson, Sen. Charlotte Armistead, Sen. Arielle Hudson, Leah Davis, Tyler Yarborough, John Chappell and Sen. Dalton Hull. 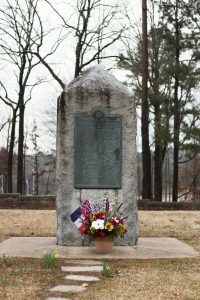 According to the resolution, Mississippi law allows a “governing body” to relocate the monument, but it is not clear what governing body that should be. In October 2017, Mississippi’s Deputy Attorney General Mike Lanford said Confederate monuments can be relocated as long as they remain on similar public property. The resolution’s authors conducted their research by speaking to historians who were members of the now-disbanded Chancellor’s Advisory Committee on History and Context, an expert on race relations from the William Winter Institute for Racial Reconciliation and the director for the Center for Inclusion and Cross-Cultural Engagement as well as by collecting student feedback.